The UN Human Rights Council on Friday adopted a report condemning Israel's "apparent intentional use of unlawful lethal and excessive force" against civilian protesters in the besieged Gaza Strip. 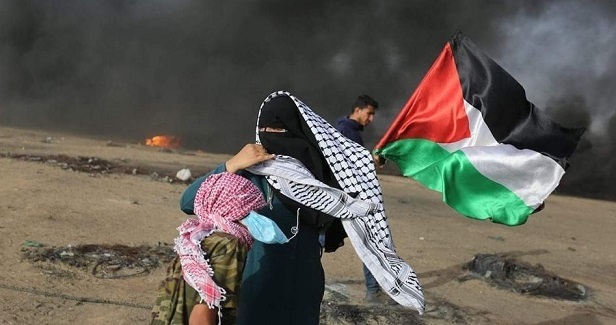 The report was released by the UN Independent Commission of Inquiry that was formed after more than 60 Palestinians were killed during a single day of Great March of Return protests in May last year. The report affirmed that 183 Palestinian protesters were killed by Israeli forces, including 35 children, during March of Return rallies staged along the Gaza border. It also said that the majority of protesters killed by Israeli forces, 154 out of the 183, had been unarmed. While calling for strengthened UN monitoring in Gaza, the resolution falls short of recommending specific actions towards accountability, only urging cooperation with an existing preliminary examination by the International Criminal Court. 23 states voted in favor of the Human Rights Council resolution. Eight countries opposed and 15 abstained, including the UK, which had initially called for an independent UN inquiry into Gaza protest deaths.